There’s one place in the east coast area of Singapore which has streets connected with the Malay film industry; collectively Jalan Dondang Sayang, Jalan Keris, Jalan Puteri Juala Juli, Jalan Buloh Perindu form Cathay Gardens. How strange can that be? I soon found my answers when I was up in KL to see some old friends who happily connected me to people who were involved in the 1962 movie production of Lanchang Kuning which was shot entirely at Cathay-Keris Studio at East Coast Road. I talk about that later but why did I remember this place? It was my grandmother’s place, a terraced house which she shared with my “Yi Por”. They moved in when Cathay Gardens was completed in 1964. Although my dear “Por Por” has departed, my 96 year old “Yi Por” and aunties still live there. Apart from the Chinese New Year, family gatherings, like someone’s birthday or a funeral, were the reasons for those visits and when adults talk, surely it’s no fun for growing kids like us. A second reason is my cousins and I spent time checking out this huge building that resembled an aircraft-hanger. It could not be one as this was not the airport. I later found out that it was the Cathay-Keris Studio. I do remember that around the same time, there were movie publications like the Chinese Ladies and Home Pictorial Fortnitely, the Malay Majallah Filem and the English Movie News that carried articles and pictures of this studio and the movies. The information got us excited and each time we met at my grandmother’s house, the kids would adjourned to the fence. We were hoping to look for something to happen. The atmosphere was very quiet and sleepy. We didn’t see “Roll, Camera, Action” but only the production crew making the movie-sets. Photo 3: The landed properties in Cathay Gardens have changed little from yesterday except for brand new roofs and new façade in some cases. The red roofs were once Cathay-Keris Studio. The gap as mentioned in this article is between the two bungalow houses. 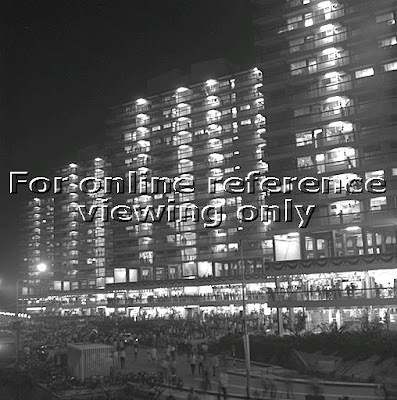 Instead of the Ocean Park Hotel, it is Ocean Park Apartments with its high-rise blocks. Where was the sea? (c 2009). Photo Courtesy of Victoria Junior College (VJC). Now back to my KL friends for the details of the movie industry in Singapore. 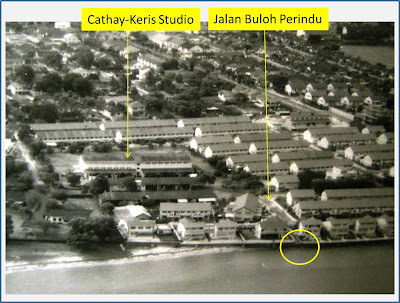 The first Malay colour film produced was “Buluh Perindu” (1953), shot on site at Cathay-Keris Studio. Swinging Singapore was the “Hollywood of Southeast Asia” for Malay film productions until the late 60s. Malay movie aspirants from the Federation of Malaya made their way south for the screen test. At that time Kuala Lumpur had not yet reached the level of Singapore when it came to film production, albeit there was Studio Merdeka Filem. Just as Hong Kong was the hub of Chinese movie industry, Singapore was the hub of the Malay movie industry. There was often co-operation between Hong Kong and Singapore where movie celebrities, like Yu Meng, Ting Hau and Peter Chen Ho, visited each other’ studios. When American movie stars visited Singapore they were taken to Cathay-Keris Studios. Our Malay actresses like Rose Yatimah, Fatimah Ahmad and Umi Khaltom took time for photo-shots with the visitors. Similar to MGM Studios or Universal Studios, Cathay-Keris Studio also had its fair share of attention when it promoted guided tours and autograph signing sessions. I am not sure whether you agree with my observation that Cathay Organization’s strength was its large pool of Malay actresses whereas Shaw Brothers focused on P. Ramlee. So today’s Neneks were once yesterday’s Cilipadis. I like to know how many are still alive with us. Anybody knows? 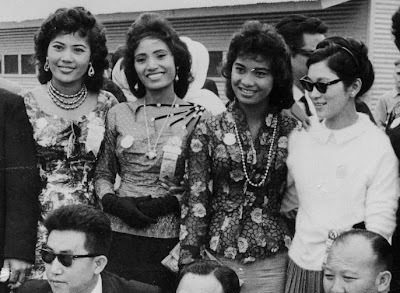 Photo 2: Standing Left to Right – Fatimah Ahmad, Rahmah Ali and Rose Yatimah on the grounds of Cathay-Keris Studio, off East Coast Road (c 1962). Lastly, in 1969 I saw there was no more sea because land reclamation reached Cathay Gardens. It was around this time that I became the photographer taking photos of my cousin, his girlfriend and his Lotus Super 7. To get in a good position, I stood at this narrow gap between two bungalow houses on Jalan Buloh Perindu. It was also through this gap I walked to the end but found obstacles ahead of me. There was a deep and wide canal which made crossing difficult. In the distance building constructions were going on the reclaimed land; flats and roads. This was the future Marine Parade HDB Estate at Marine Terrace. Today everything has changed and it was only last year that I had the chance to do some photo-shoot from a high-rise block. I hope these photos can rekindle our memories again of the place and Malay movies. PS – You can find several video clips of Lanchang Kuning on YouTube. Here is one of them. In my previous post about Outram Park, some of my readers made mention of the Outram Prison. Personally, I have no recollection of this place. But thanks to Russ Wickson who sent me an old photo album containing photos taken by Sgt George Shaw in Singapore around the year 1948, I can show you what this prison looked like. “Outram Road, built in 1847, was then known as River Valley Road. It was also known as Cantonment Road and it stretched as a single road connecting to Keppel Road. In 1858 the road was separated from Cantonment Road and was named Outram Road in honour of Sir James Outram, for his heroic role in the 1857 Indian mutiny. Outram Road forms junctions with Tiong Bahru Road and Seng Poh Road. Below is another old photo from the George Shaw Collection. Can you identify this old Chinese temple? By the way, I do not know the answer. Reading YG’s post about the old People’s Park reminds me of the other famous ‘park’ of that era. Do you know which one I am referring to? It’s Outram Park. The Outram Park shopping complex was located at where the present Outram MRT station is situated. 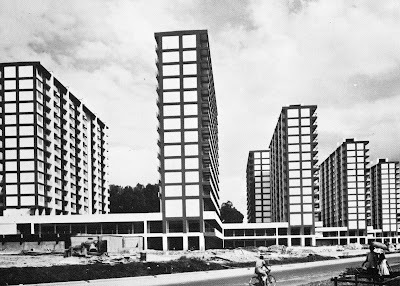 Unlike People’s Park, the blocks here were only two storeys high. The layout of the buildings was quite unique in that the blocks were not arranged in the typical fashion; i.e. parallel to the main road with the shops facing it. Instead they were at an oblique angle to it, forming a long zig-zig row, with a long open car in front. Thanks to Peter Chan for this 1968 photo. Here's a photo of the Chancellor Departmental Store at Outram Park courtesy of Peter Chan. Strange, they translated Chancellor as 'da ren'? Could they have interpreted Chancellor to mean a 'big shot'? 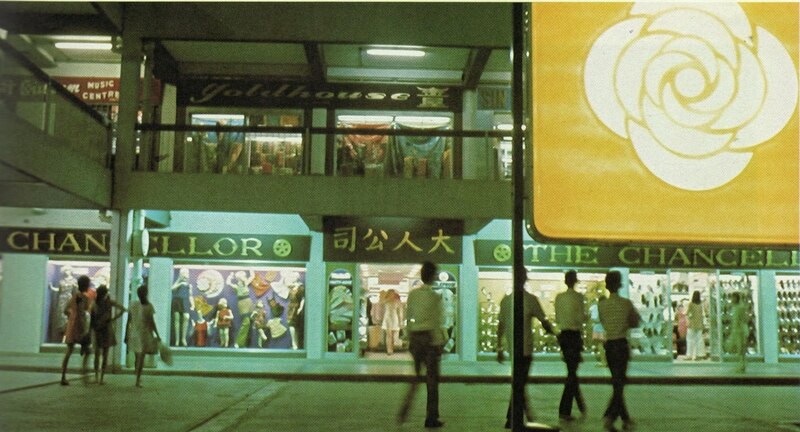 This is the only photo of the Outram Park Shopping Complex that I could find in the National Archives’ Picas collection. I do not know in which year Outram Park was built. But I remember clearly the first time I went there was early one morning in December 1970 to board the coach which would bring me and my family (my parents and my sister) for my first packaged holiday tour to Malaysia. I had just completed my HSC exams - today’s equivalent of the A-levels - and was waiting to be enlisted into the army. There were two well-known tour agencies at that time. One was called Nam Ho and I think the other was called C&E. We booked our tour with C&E. Can you guess how much was the fare? I think it was slightly less than $100! Our tour covered the main attractions in Peninsula Malaysia all the way up to Penang. Of course at that time there wasn’t any North-South Highway. Neither was there a Penang Bridge. Along the way, we stopped at several popular Malaysian tourist spots. For example, we stopped at Kajang to sample the famous Kajang satay. And then there was the Batu Caves near Kuala Lumpur and the very popular Cameron Highlands hill resort. Our itinerary did not cover Fraser’s Hill, the other famous hill resort. But among our group, we made a collection and got the driver and guide to add that to our itinerary. I remember the poor driver’s arms became stiff from all that mountain road driving. At that time, Genting Highlands was not built yet. Another significant stop was the Cantonese town of Ipoh in Perak. We stopped at a shopping centre called the Octagon which was called Pat-kok-lau in Cantonese. It was demolished recently. The tour guide spun a fanciful story about the smooth hor fun (rice noodle) and fair ladies of Ipoh. The former was smooth because of the special quality of the water in that region whilst the latter was fair because Ipoh sat in the shadows of the nearby limestone mountains. At that time, I never dreamed that one day I would make one of these ‘fair ladies’ my life partner. I assure you my decision was not influenced by the tour guide’s fantastic story. Neither did I dream that this little mining town would be second home to me and my children; and who knows, it could well be the place where I spend my last days. Below are some photos from my first packaged tour. This photo was taken at the entrance to what is known as The Gap which is a narrow winding road that allows for only one way flow of traffic. If you continue on without turning left to Fraser’s Hill, you will come to the small town of Raub which I visited once many years ago when my 9th uncle was working in the town hospital. This photo taken with our Minolta Hi-matic camera at Cameron Highlands was from our first row of Kodak colour film. Only four of us, my father, mother, sister and myself went for this trip. This week Char Lee and I participated at the two-day When Nations Remember international conference where we jointly presented a paper and facilitated discussions on the topic, Capturing Memories through Blogs. For my part, I did my usual ‘evangelistic’ pitch to persuade the audience to document their memories either through blogs or the NLB’s Singapore Memory Project. I reminded them of the two reasons which made this task urgent for us here in Singapore. 1) Places in Singapore have a way of disappearing overnight when you are not looking. They should thus ‘gather moments while you may’. 2) Many of our seniors and even baby boomers of my generation are passing away from the scene. In fact, even as I write this post, I learnt of the sad departure of former football star, Dollah Kassim. And I don’t just mean their physical departure. Many of the old folks could be losing their precious memories through old age and ill health. I think my talk was generally well-received. Mr Gene Tan, the director of NLB’s Singapore Memory Project immediately announced that they were going to push ahead with their Seventies Project. That’s not a project about the 1970’s as I initially thought, but a project to interview Singaporeans who are in their seventies to capture their memories of the Singapore of old. I was particularly proud and happy that the man who helped put me on a career in Industrial Engineering and subsequently in Productivity, my lecturer in varsity and final year project supervisor, Dr N Varaprasad, was sitting in the front row. As for Char Lee, he shared about the methodology he adopted in investigating his subject matter. And I think he chose a brilliant example to share with the largely Singaporean librarian audience; the old library building at Stamford Road. I think I should leave it to him to blog about his experience at this conference. I should say though, that had I been in his shoes, I certainly would have taken the opportunity to take a dig at the top guns for their short-sighted decision to replace our beloved library at Stamford Road with a soul-less tunnel. Finally, I would like to thank the NLB for inviting me and Char Lee to do this presentation and to talk about something close to my heart. Like many of the other participants I thought the whole event was very well-organised and the usual professionalism and enthusiasm of the NLB staff is beyond reproach. I reminded myself that these are the folks who won the coveted Singapore Quality Award. I also got to meet some new friends and a few old ones. Quite possibly, I might even have gained a couple of fans judging from the sudden increase in the number of ‘followers’ of this blog. As this conference was held at the Carlton Hotel in Bras Basah Road, I took the opportunity to do a ‘second shot’ of George Shaw’s 1948 photo of the Cathay Building. I leave it to the readers to spot the differences. Looking the above photo, I realize that my skills in 'precision photography' are no match for Char Lee's. Maybe we should invite him to redo this and show us how it should be done. In fact I even mis-spelled Bras Basah Rd but I am to lazy to make the correction. ** Related post by James Seah here. ** Read Pauline Loh's review/summary of our talk here. Below is a shot of the photo album which Russ Wickson was kind enough to send me last year. I used to have several photo albums like this one; but unfortunately I had thrown them all away. But thankfully, I kept many of the old photos. Do you notice the interesting way in which the photos are mounted? Each photo is mounted onto the photo album using 4 plastic self-adhesive corners. The pages are usually thick drawing block type paper and the pages are separated by a waxy transparent sheet. The next generation of photo albums as far as I can recall had a sticky surface onto which you placed your photos. It is overlaid by a large clear plastic sheet. I regret using this type of album because after some years my photos got stuck to the pages. Any suggestions for removing them without damaging my precious old photos? The next type photo albums came with individual plastic pockets. I still have several of them. But the ones I liked most were those which I bought in Japan. During my three-and-a-half month training in Japan in 1985, I took several photos and filed them in these albums. I liked the space provided at the side for you to write your notes. I bought a ten-volume set which came with a neat box file. I am glad to note that my 1985 photos are all still in good condition. Today, in the digital age, I keep most of my photos as images on my hard disk. I find online albums like Flickr.com extremely useful for sharing large numbers of photos with many people. Unfortunately many people of my generation have not kept up with the times. For example, in my church I am in charge of sharing photos of important events with our members. When I uploaded the photos onto Flickr and emailed them the guest pass to access these photos; many did not know how to download the photos. I offered to teach them, but suggested that it was best that they consulted their children. And here I have a complaint against our young people. They are often too impatient to teach their elders IT-related stuff. Have you forgotten the many hours your parents spent patiently teaching you the million and one things in your life? 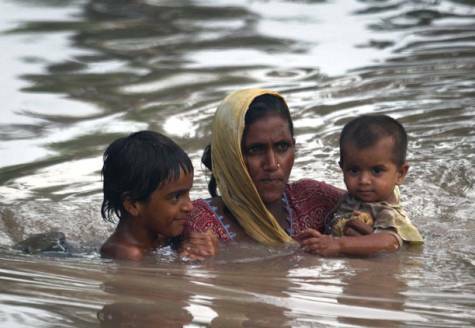 Pakistan Floods: To give or not to give? Someone emailed me an article titled: “Pakistan Floods: This man says he won't give a dime and here are his reasons ...... up to you to agree or disagree with him”. The article is written by Patrice Lagacé. Basically he says he “will not give one red penny towards the humanitarian relief in Pakistan” for 3 reasons. Personally, I think this gentleman’s logic is a little warped. I believe whether or not a person should give towards the relief effort in Pakistan should be governed by two questions only. One, will my money help some suffering human being? If it doesn’t; if it will end up in the pocket of some corrupt politician, then I shouldn’t give. Two, do I have the means to help in the first place. However, even if he does not agree with my points and feels justified in not wanting to help, I think he should refrain from telling others not to; which is what his article is all about. If someone dies as a direct result of his irresponsible diatribe, that person’s blood is on his hands.